Looking for some great special needs documentaries or books? Have you tried going to your local library or gone online and been overwhelmed with the thousands of books written on the subject? We try and make your life a bit easier with the Special Needs Book & Video Series. 12 amazing special needs stories you need to read! In this post, we give you 15 of the best special needs documentaries available. Enjoy! Autism: The Musical follows the extraordinary and innovative acting coach Elaine Hall, five autistic children, and their parents as they improbably, heroically mount a full-length original stage production. Through trial and error, tears and laughter, these incredible families learn to communicate their feelings in song and performance, finding solace and joy in the act of creating. This spellbinding film offers a full-throated celebration of kids living with this increasingly prevalent disorder. It captures the individual personalities and problems of each child, from precocious Henry who talks a mile-a-minute about dinosaurs to Neal, a sensitive and articulate boy who nonetheless struggles to speak at all. “I Have Tourette’s, But Tourette’s Doesn’t Have Me” is an insightful new family documentary that takes a candid look at the lives of several American children growing up with Tourette Syndrome. In every school in this country, it’s likely that at least one child has Tourette’s, a neurological condition characterized by repetitive, involuntary vocal and motor tics that persist over time. Many parents and educators don’t recognize the symptoms, and often the disorder goes undiagnosed or misdiagnosed. In this 30-minute documentary, over a dozen children ages 6-13 are interviewed about what it is like to grow up with Tourette Syndrome, what measures they are taking to control it, and the challenges they face in their efforts to be accepted into the social mainstream as a “normal” kid. Normal People Scare Me: A Film about Autism is a documentary film about autism, produced by Joey Travolta, older brother of actor John Travolta. The documentary initially began as a 10-minute short film co-directed by an autistic teenager named Taylor Cross, and his mother Keri Bowers. Joey Travolta first met Cross at a program Travolta led teaching the art of filmmaking to children with special needs. He helped educate Cross about filmmaking, and the documentary was expanded into a feature-length film. It includes interviews with 65 people, including those that are autistic as well as friends and family. Cross asks them about their experiences with autism and how they feel about it, and elicits multiple insightful responses from his subjects. Does having a learning disability mean that you can’t learn? Eight children prove that the answer is a definitive “No,” in this HBO Family documentary that takes an enlightening look at young people with a wide spectrum of learning differences. Interviews with kids and parents are inter-cut with scenes of the children engaged in activities that reflect their talents–painting, poetry, etc. This 30-minute documentary takes an enlightening look at young people with a wide spectrum of learning differences; offering a compelling portrait of the ways in which these children are able to compensate by using their strengths to overcome their challenges. 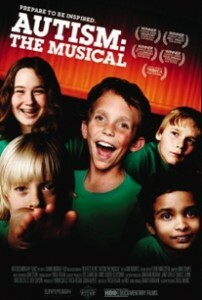 From the Executive Producer, Sheila Nevins, and the director and producer, Ellen Goosenberg Kent of “I Have Tourette’s but Tourette’s Doesn’t Have Me,” this documentary is an inspiring account of children with learning differences who have discovered real abilities, and have learned to use their strengths to overcome their learning struggles. Narrated by Oscar winner Kate Winslet and directed by Oscar nominee Fridrik Thor Fridriksson, this inspiring film follows one woman’s quest unlock her autistic son’s mind. Margret, whose ten-year-old son Keli is severely autistic, has tried a number of treatments to help her son. Consumed by an unquenchable thirst for knowledge about this mysterious and complex condition, she travels from her home in Iceland to the United States and Europe, meeting scientists and other experts, as well as other families touched by autism. The stakes could not be higher: one in 110 children is diagnosed with autism every year, with boys outnumbering girls four to one. In her journey, she learns how the brains of autistic children differ from “normal” children and discovers new techniques that could offer a promising future for children with autism, including her son. She also connects with families of autistic children, who share stories of their efforts to help their kids interact with the world around them. "You think that you’re teaching Peter things, but really Peter’s teaching you things. We might be teaching him stuff like how to do things, but he’s teaching us more how to think and how to react to other problems,” said Jill Fox, a classmate of Peter’s. This documentary is about the changes that take place over the course of the school year, as Peter, his classmates, and the teacher learn lessons that go far beyond their academic subjects. If you are born disabled in Ghana, West Africa you are likely to be poisoned or left to die by your family; and if not, you’re likely to be hidden away in a room; and if not, you are destined to spend your lifetime begging on the streets. This is the story of one disabled man whose mission-and purpose- is to change all that forever. Narrated by Oprah Winfrey, the film chronicles the life of Emmanuel Ofosu Yeboah, a young Ghanaian man born with a severely deformed right leg, who today, against incalculable odds, is opening minds, hearts and doors-and effecting social and political change throughout his country. While Emmanuel’s message is vital: people with disabilities are valuable contributors to any society, his method is inspirational. Emmanuel begins his quest with a bicycle ride, over 600 kilometers, across Ghana with one leg-and continues to spread his vision with grit and resolve. He has been documented for over a year, with over 100 hours of powerful imagery. The film includes original footage shot in Ghana, California, Oregon and New York, as well as photographs and other acquired film/video of Emmanuel’s early years. Through it all, they have created an intimate insight into the mind and heart of a visionary whose unforgettable journey transcends continents and cultures and becomes each of ours to share. In ‘Wretches & Jabberers and Stories from the Road’, two men with autism embark on a global quest to change prevailing attitudes about disability and intelligence. With limited speech, Tracy Thresher, 42, and Larry Bissonnette, 52, both faced lives of mute isolation in mental institutions or adult disability centers. When they learned as adults to communicate by typing, their lives changed dramatically. Their world tour message is that the same possibility exists for others like themselves. At each stop, they dissect public attitudes about autism and issue a hopeful challenge to reconsider competency and the future. Along the way, they reunite with old friends from the USA, expand the isolated world of a talented young painter and make new allies in their cause. Misunderstood Minds is a captivating documentary that unreels like a topnotch drama–you’ll be on the edge of your seat while having a series of “aha” moments. The 90-minute production spends three years following five families with children who struggle with learning disabilities. One high-achieving boy’s strong memory masks his inability to read; the parents of a middle-school girl who has trouble focusing resist the solution (drugs). Not every story is a clear success, and one Boston teen slips through the cracks. The learning-problem experts and teachers do a superb job making a complex subject (children have “expressive language deficiency” or an “output problem”) entirely understandable. Directed and produced by Frontline filmmaker Michael Kirk and narrated by Nightline correspondent Chris Bury, the show is powerful as it trains the lens on these quotable kids and their often-heartbreaking journey. Before his son Samuel was diagnosed with cerebral palsy, photojournalist Dan Habib rarely thought about the inclusion of people with disabilities. Now he thinks about inclusion every day. Shot and produced over four years, Habib’s award-winning documentary film, Including Samuel, chronicles the Habib family’s efforts to include Samuel in every facet of their lives. The film honestly portrays his family’s hopes and struggles as well as the experiences of four other individuals with disabilities and their families. Including Samuel is a highly personal, passionately photographed film that captures the cultural and systemic barriers to inclusion. The film has been screened at universities, national conferences, public television stations and independent theatres across the country. Including Samuel has also been featured on NPR’s All Things Considered, Good Morning America, as well as in the Washington Post and the Boston Globe. Darius Goes West is an acclaimed independent documentary film (it won more than 28 awards!) about the first ever cross-country trip of fifteen-year-old Darius Weems, who has Duchenne Muscular Dystrophy, the world’s primary genetic killer of children. The goal of Darius and eleven college-age young men is to reach Los Angeles and convince MTV’s “Pimp My Ride” to customize Darius’ wheelchair. Together they learn about friendship, and the simple joys of living in this heartfelt and educational true-life story. Not only does Darius Weems bravely face his own inevitable fate with Duchenne Muscular Dystrophy (DMD), but through his unflinching humor and his extraordinary laugh, he sparks a revolution in the lives of everyone who crosses–and then shares–his courageous path.Part revolution, part revelation, this film proves to people of all ages how life, even when imperfect, is always worth the ride. An intelligent, moving and beautiful portrait of Sabine, a 38-year-old autistic woman, filmed by her sister, the famous French actress Sandrine Bonnaire. Through personal footage filmed over a period of 25 years, it is revealed that Sabine’s growth and many talents were crushed by improper diagnosis and an inadequate care structure. After a tragic five-year stay in a psychiatric hospital, Sabine finally finds a new lease on life in a home together with other young people living with similar mental and emotional illnesses. This very intimate film also sends an urgent message to a society that still does not know how to properly take care of its citizens with physical and psychological disabilities. As autism has exploded into the public consciousness over the last 20 years, two opposing questions have been asked about the condition fueling the debate: is it a devastating sickness to be cured or is it a variation of the human brain just a different way to be human? Loving Lampposts: Living Autistic takes a look at two movements: the recovery movement, which views autism as a tragic epidemic brought on by environmental toxins and the neurodiversity movement, which argues that autism should be accepted and that autistic people should be supported. After his son s diagnosis, filmmaker Todd Drezner, visits the front lines of the autism wars to learn more about the debate and provide information about a condition that is still difficult to comprehend. This film is a great learning tool. Dakota’s Pride is a heartwarming documentary about a father’s search for the truth about Down Syndrome. Tough questions are posed to and answered by a noted Harvard physician, and parents of children with Down Syndrome. The answers are surprising and inspiring. In addition to being informative, this documentary celebrates the successes that have been and can be achieved by individuals with Down Syndrome. Dakota’s Pride has been aired on PBS and is a must see for anyone. This family-friendly director’s cut has 45 minutes of bonus track footage, and ten extra minutes of running time. ABC News correspondent Bob Brown profiles the remarkable Bill Porter of Portland, Oregon. Born with cerebral palsy, Porter nonetheless became a door-to-door salesman in Portland, struggling up to 10 miles a day on foot while selling household products for the Watkins Company. Friendly and persistent, in time Porter became the top grossing Watkins salesman in the United States. His story was told in the 2002 TNT cable movie Door To Door, with actor William H. Macy as Porter and Kyra Sedgwick as Porter’s friend and assistant, Shelly Brady.